Hey guys! I'm back, I hope! This past month has been super crazy getting ready for school to start for my kids (they went back August 7th! How much crap is that!) and my 3 year old ready to start preschool. He's starting twice a week for now. My baby-ugh! But our schedules have been all over the place and they are always extra tired the first couple weeks going back to school full time. I am so ready to get back into a routine! My house-to-do list is a mile long, so many things need to be sorted through and reorganized without little prying eyes and invasive hands, lol. I am looking forward to getting back to a regular schedule of blogging too--it's all about the balance, yes?? Anyhoo! 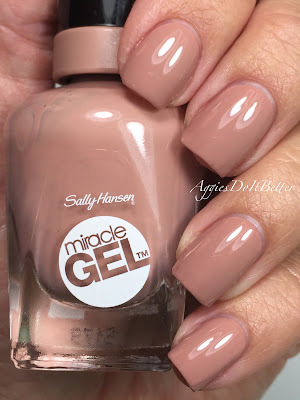 Today I have some Sally Hansen swatches for ya! I was pretty excited when they asked if they could send me these...I think SH was some of the first polish I ever owned when I was younger...like ever! That and Maybelline, haha! 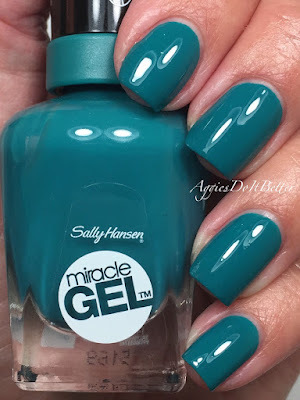 I've never tried these Miracle Gel polishes but have been wanting to! So they sent me 3 polishes and their new "2X" topcoat, it's supposed to be extra shiny! It is designed to "cure" in natural light instead of a UV/LED light. 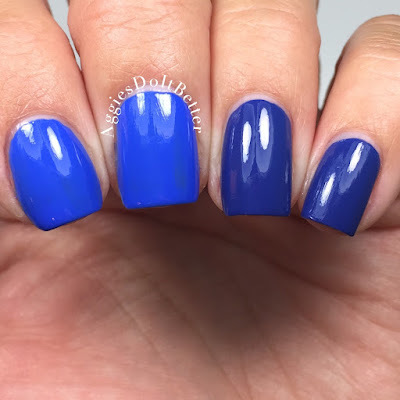 This review will be in 2 parts, I'm showing yall swatches of the shades they sent me which are new for 2015, then when I get all caught up (hopefully next week) I'm going to do a little wear test with the topcoat! A little note on the shades they sent me....I didn't get to choose, all I asked for was anything but orange! And LOOK at what they sent me...I mean....could they be any more perfect shades for me??? 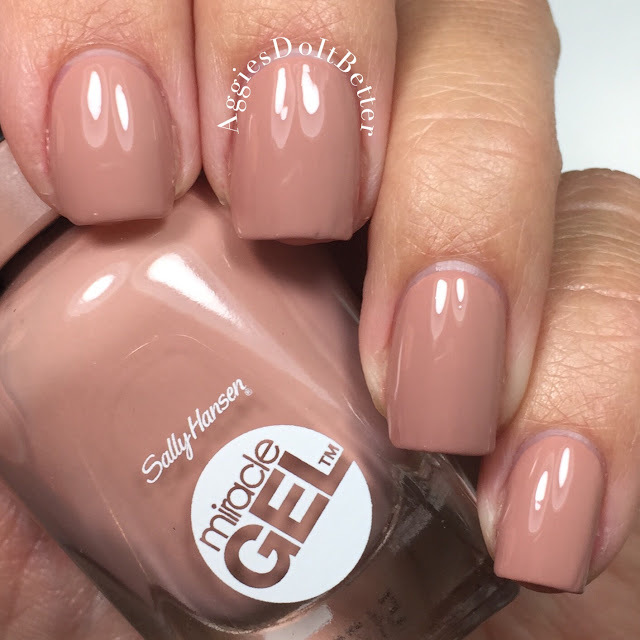 First up is "Totem-ly Yours" which they call "an appealing dusty rose". 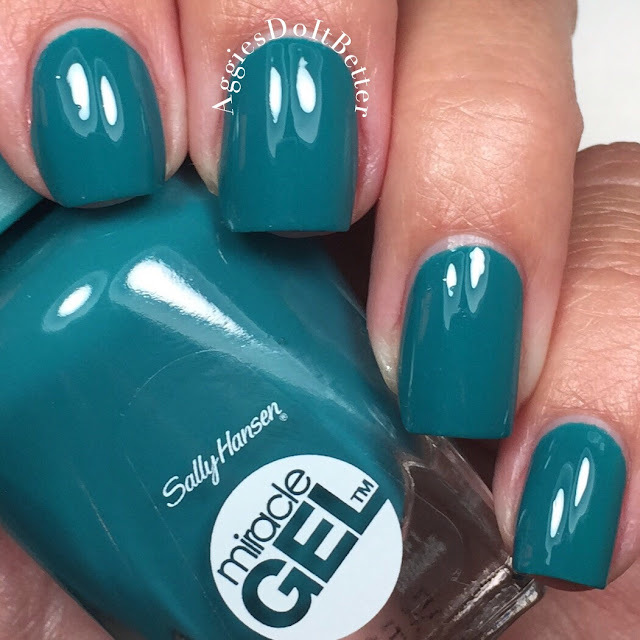 This is from the Tribal Vibe collection, which is one of 2 new collections released in conjunction with the new topcoat. To me its more like a pinkish taupe, and I really love this type of shade. I feel like its super flattering on anyone and work appropriate. 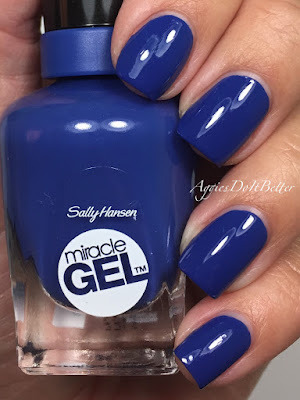 I'm wearing 2 coats here and for topcoat in this post I used SH Insta Dry (purchased by me). When I wear this for real I will probably add a 3rd coat to even things out. The formula was a little thinner than the other 2 I have. Another note on these, I would clean up your edges as you go instead of waiting till the end. They seem to set a bit faster. Next is Fish-teal Braid from the Boho Chic collection. This is a teal leaning turquoise, teal is more green to me than turquoise. This photographed a bit bluer that it is in real life so I had to bump up the green a little to show the accurate color! SH says not to use a base coat with these polishes but we alllllll know teals love to stain, and this one did when I swatched it! I have a tooth brush I use on my nails and most of it came off with just soap and water and a good scrub, so no biggie, just be aware! Otherwise, the formula on this one is GREAT, almost a one coater. I used 2. Lastly I have Beatnik, which is also from the Boho Chic collection. Yall know how I feel about royal blue polishes so I don't need to ramble on ;) The formula on this one is great too! 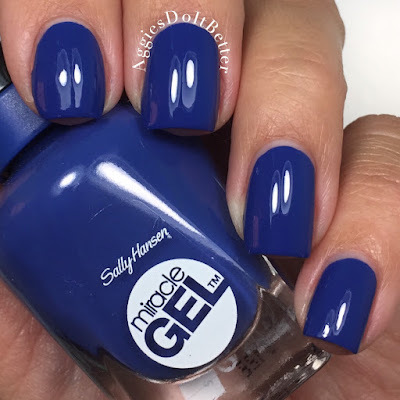 I thought some people might wonder how it compares to the most famous Sally Hansen blue, so I did a little comparison below! This is (original formula) Pacific blue on the left 2 nails and Beatnik on the right 2. When I look at these in the bottle they look similar, but when I tested them on paper Beatnik was quite a bit darker, but I knew yall wouldn't believer me. :) so here you go! Overall, I'm impressed with the formula. My only issue with SH in the past is the brushes....they are flat and wide, which I prefer, but the edge is kind of raggedy...I wish they would fix that!! I would make for a much more even application. I'm looking forward to seeing how they hold up on extended wear! 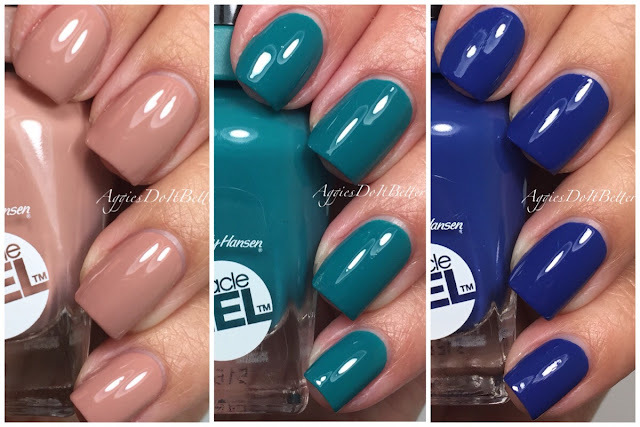 *these polishes were provided for my review but yall know I always speak the truth!